If you’re in the mood for something fancy, you should go for a stroll around the glamorous Short Hills Mall. And if you’re hungry in a similarly fancy fashion, you should try out Papa Razzi. 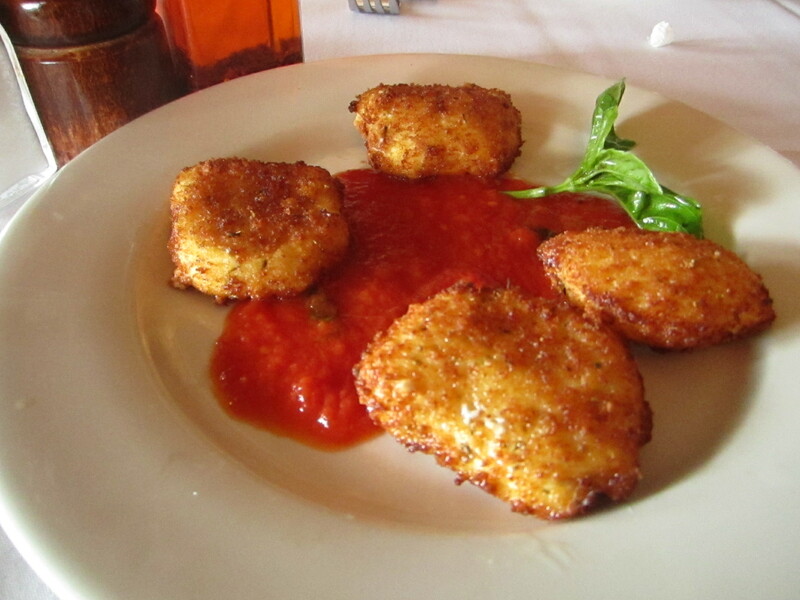 This high-quality Italian restaurant, conveniently located in the lower level of the mall, is no food court. Papa Razzi offers up simple recipes cooked in an impeccable manner that will satisfy any post-shopping hunger. Read on to see what I got on my last visit– and what I thought! The sophisticated alternative to the more casual mozzarella sticks, Papa Razzi’s Mozarella Fritta is a must-have. You’ll intend to split them with everyone at your table, but as soon as you take a bite, you’ll undoubtedly try to hoard them all for yourself. Light and non-greasy, these crispy cheese appetizers start every meal the right way. Just make sure to leave room for your entree! 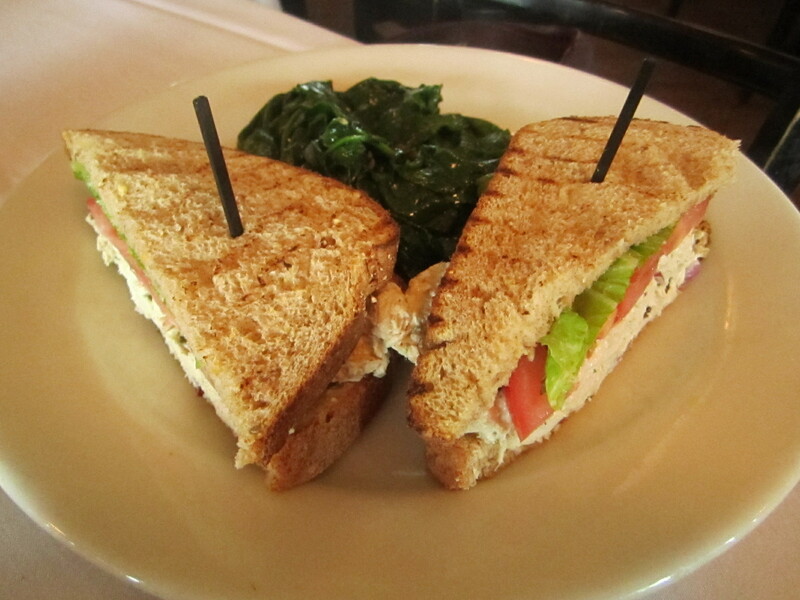 My mom went for a classic turkey club sandwich — and was not disappointed. You can sub a side of iron-rich veggies for the fries that this dish normally comes with. Crisp, fresh ingredients top this giant sandwich, and the simple style isn’t overwhelming. The gnocchi at Papa Razzi is so amazing that I get it every time I go, even though there are tons of pasta dishes I’m dying to try. 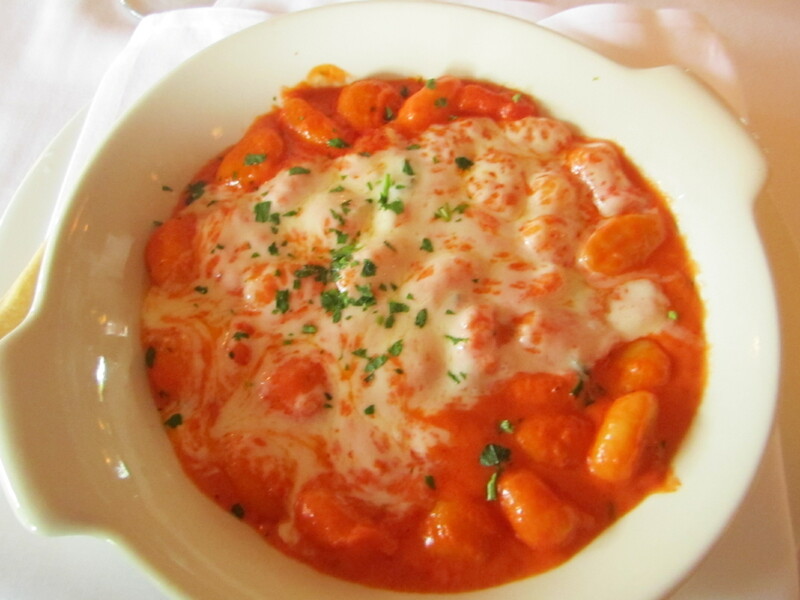 This version of Gnocchi al Sorrento is my all-time favorite gnocchi dish. No other gnocchi I’ve ever tried can compare to the light and fluffy potato dough and rich pink sauce. Let us know if you check out Papa Razzi! Check out their website for more info and their complete menu: but you really can’t go wrong with whatever you pick! This restaurant is definitly worth checking. We’ve necer been disappointed.